There is only one difference between the dealer and German Auto Group of Alexandria’s diagnostic process: we’re cheaper. We are able to diagnose just as thoroughly with the proper equipment. Yes! A lot of clients are under the assumption that they are not allowed to bring their leased vehicle anywhere other than the dealership. This simply is not true. If you have a repair that will not be covered by your warranty (i.e. scheduled services, brake or tire replacement, alignment, etc) we welcome you to bring your vehicle here to receive the dealership experience at a lower cost out of your pocket. Of course! German Auto Group of Alexandria offers a free courtesy shuttle to the Metro. The night drop box is located on the back of the building next to the service lane entrance. Please fill out a Night Drop form and park your vehicle along the brick wall. Don’t forget to put your keys in the envelope, and slip the envelope in the slot. The best place for you to park is along the backside of our building (across from the dry cleaners) and enter through the front entrance. You are also welcome to park in the front of our entrance if you need to pop in to ask a quick question. The service lane is a little difficult to locate if you’re visiting us for the first time. 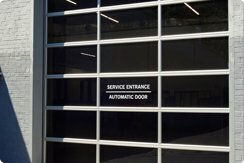 The service lane is located on the backside of the building. The trick is to pull into the main plaza entrance (right side of our building) and immediately stay to the left. 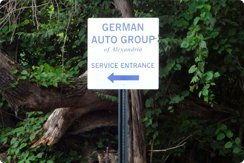 Wrap around the building, and follow the German Auto Group of Alexandria signs into the service lane. Pull up to the large glass door, and it will open automatically for you. We are located in the Cameron Park Plaza, near the corner of Edsall Road and South Pickett Street. Our scheduled maintenance and inspection services include state inspections needed for annual registration, and we can inspect nearly any type of car. We take both scheduled appointments and walk-ins, so stop by our Alexandria auto repair shop today! Our mechanics look forward to helping you resolve your car problems as fast as possible so you can get back on the road and on with your life. To get started please contact us at (703) 370-2200!